Fees Different depending on the programme. The information on cost and fees is available upon request. Student grants / Financial assistance Free education for foreign students under the letter of referral of the Ministry of Education and Science of the Russian Federation. Admission requirements For Bachelor’s, Engineer’s and Master’s degrees – Russian language, level B1 (Threshold) TORFL (Test of Russian as a Foreign Language) is required. For pre-university training programs – no Russian is required. For summer-school programs – fluent English or German is required. Ulyanovsk State Technical University (UlSTU) was founded in 1957 as Ulyanovsk Polytechnic Institute. The university status was granted in 1994. 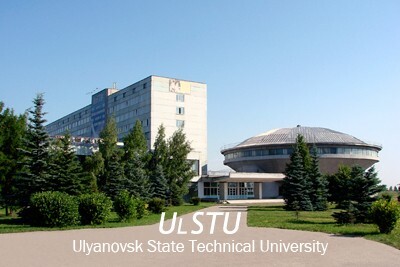 UlSTU is a leading centre for education, science and culture of Ulyanovsk region. Nowadays UlSTU provides educational programs of secondary vocational and higher (Bachelor’s, Master’s, Engineer’s Degrees) and postgraduate professional education, advanced training, carries out fundamental and applied research and has the function of methodological center. As of January 1, 2015 Ulyanovsk State Technical University has received 4763 intellectual property protective documents, including those for inventions, utility models, industrial designs, computer programs, data bases, and trademark. UlSTU has more than 10 000 students in different fields of study (as of 2014/2015) including foreign students from 22 countries. The basics of the University are eight faculties (Faculty of Humanities, Faculty of Mechanical Engineering, Faculty of Radio Engineering, Civil Engineering Faculty, Faculty of Information Systems and Technology, Faculty of Economics and Mathematics, Power Engineering Faculty, Faculty of Extramural and Evening Education) and two institutes (Institute of Aviation Technology and Management, Institute of Distance and Additional Education), colleges, academies, schools, vocational education centers. Preparation of students is carried out by teaching staff of 52 departments on 40 Bachelor’s programs, 31 Master’s programs, 5 Specialist’s program, 23 postgraduate programs. The University campus has more than 90 buildings at 8 locations with 69,8 ha of total area including 17 buildings for study and research activity, 5 dormitories, a sanatorium, a sports and health camp, an outdoor sports complex, etc. Preparatory course for foreign students (technical specialties). The program includes courses of TORFL, B1 (Threshold) and other disciplines: mathematics, physics, chemistry, informatics, descriptive geometry, Russian history, physical culture. Fee: 850-900 Euro (for students of partner-universities the cost might be decreased). Duration: from 2 weeks up to 12 months.